Together, we are challenging status quo and starting a revolution to change the way people pack and move, by providing a more convenient, affordable, and environmentally friendly alternative to cardboard boxes. Andrew Androff is a serial entrepreneur, founder, and co-owner of Rental Crates.com, the first and only company to rent reusable plastic moving boxes to people and businesses moving throughout Metro Detroit. 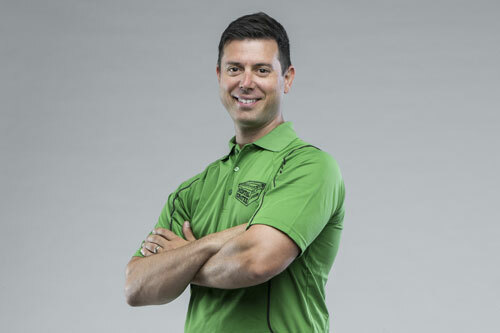 Andrew has dedicated his career to coming up with and executing ideas that improve a customer’s move experience while uniquely differentiating his companies from the Moving Industry. His latest idea, Rental Crates.com is redefining the way people pack and move by offering an easier, cheaper, and eco-friendly alternative to cardboard boxes. Andrew believes that packing is a stressful enough task. People should not also be taxed with trying to figure out how many expensive cardboard boxes they need to purchase, only to be forced to waste an incredible amount of time and energy taping them all together before they can even start packing. Especially, when those same flimsy cardboard boxes often become crushed during a move and sent to the local landfill after only one use. So Andrew launched Rental Crates.com, where customers can order and rent plastic moving boxes right from their computer or mobile phone. No heavy thinking required, since the rental packages are pre-determined bundles of boxes based on the size of a customer’s home or office. Best part, the Rental Crates are delivered right to your home or office. They arrive fully assembled and require no tape so customers can begin packing instantly. Once a customer is finished with them, they are picked-up, washed, and rented to the next customer, creating an incredibly environmentally efficient process. Andrew rose to prominence within the moving industry in the mid 2000’s as the Co-Owner of Professional Movers.com for establishing an award winning customer service culture. His intelligent, friendly, and skilled movers were doing things so positively different that they were forever altering a customer’s perception about moving for the better. By simply creating strong emotional connections with his customers, delivering on every promise made to customers, and skillfully managing challenging situations by always doing the right thing, Andrew was awarded “Customer Service Hero” Award by Corp! Magazine in 2008. One year later, his company was featured in a National Best Selling Customer Service Book, “Who’s Your Gladys” where the entire 1st chapter was dedicated to sharing Professional Movers.com story of inspiring customer service practices. Andrew is a staunch supporter of the revitalization of Detroit. In 2011, he pioneered the Detroit Moving Incentives Program, a company wide initiative designed to patronize people and businesses who move to Detroit by providing them with specialized discounts and value-added moving services. The program was and continues to be, the first and only of its kind. It has proven to be tremendously well-received with hundreds of businesses and people successfully relocated to Detroit. Andrew was even featured on Opportunity Detroit Radio show twice to talk about the success of the program. There has been 6 consecutive years of growth in people and businesses utilizing the Detroit Moving Incentive Program. The popularity in the program has resulted in a 17% increase in revenue and enabled Professional Movers.com to hire new team members, purchase new moving trucks, and invest in new technology. In 2012, Andrew opened a Professional Movers.com location in Downtown Detroit (inside Chrysler House, then later in 1001 Woodward) to better serve their emerging Detroit clientele. Andrew’s favorite part of his job is the creative flexibility to take chances and find new ways to embrace change. In 2016, Andrew Co-Founded and launched Moving Calculator.com as a way to solve consumer’s challenge of getting a quick ballpark price on the cost of moving without any hassle or sales pressure. So he and his team built an online widget that consumers can use as a research tool to learn estimated moving costs to relocate anywhere in the United States. In under 30 seconds and with incredible accuracy, thousands of people have been able to visit the Moving Calculator.com and begin to plan and budget for their potential move, all for free. Andrew graduated with honors with a Bachelor’s Degree in Marketing from Oakland University and a Masters in Business from Wayne State University. He is a recent graduate of the Goldman Sachs 10K Small Business Program in Detroit where his business has been recognized in Crain’s Detroit Business for achieving revenue and job growth post-graduation. In 2011, 2013, 2014, 2015, 2016, and 2017, Andrew’s company Professional Movers.com was voted “Best Moving Service” by readers of the Oakland Press. Today, Professional Movers.com boasts an impressive list of clients that include Fortune 500 companies, local celebrities, and government agencies. 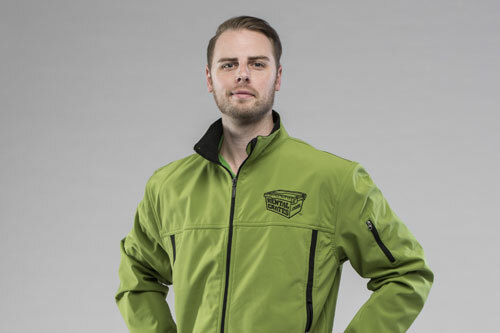 Andrew is a 2016 Oakland County Executive’s Elite 40 Under 40 recipient for the work he and his team have accomplished in the Moving Industry and Community. Andrew gives back professionally by donating his company’s moving and storage services to the Goodfellows Canned Food Drive and opening his warehouse as a Water Collection Center during the Flint water crisis. He currently serves as the Vice President for the Michigan Movers Association, a non-profit association whose goal is to foster, develop, and promote the highest standards of conduct and service to the public and to members engaged in the transportation and the storage of property. James Crowley is the digital prophet and chief operating officer of Rental Crates.com, the first and only company to rent reusable plastic moving boxes and moving supplies to people and businesses moving throughout Metro Detroit. James is a web designer, digital trend expert, and ultimate organizer and improver of the process. He is known as a consummate perfectionist, the magic man who can take broad, sweeping visionary ideas and refine them to produce tangible, focused ideas that actually work in the real world. That is largely why James was tapped to be the lead digital architect to bring the grand vision of Rental Crates.com online ordering platform to life. James spent months obsessing over and building the perfect framework for the daily operation and process of Rental Crates.com. His lone goal was to create a company that delivered on the promise to provide the most convenient, affordable, and environmentally friendly alternative to cardboard boxes. His wizardry made what would normally be a logistical nightmare, into something smooth and logical. He streamlined online ordering to reduce a customer’s delivery time for their rental orders. He developed an inventory management system to ensure accurate tracking of available Rental Crates so customers visiting the website instantly know what moving supplies are available and in stock for rental. James did all the things that improve a customer’s experience, but often go unnoticed because everything he created functions exactly as they were intended, seamlessly and with purpose. Rental Crates.com now rents, delivers, and picks-up of thousands of plastic moving boxes throughout Southeast Michigan each month. Rental Crates.com has become the hottest trends in moving industry and is changing the way people pack and move. James is involved in every aspect of Rental Crates.com but actually began his career working as a mover for our sister company, Professional Movers.com while attending college. At the time, the business world and especially the moving industry was at the peak of bashing the millennial generation talent pool with misguided opinions. James shattered any misconceptions of what someone his age could accomplish, proving that often the best minds for disrupting an antiquated and archaic system, such as the moving industry, is by having an outsider help identify the real problems and then solve them. James work ethic stretched beyond working on moving trucks as he would often help volunteer after hours to work on creative projects with the company’s marketing department. It was here James passion and talent for figuring things out excelled. He became the Swiss army knife of Professional Movers.com, teaching himself how to use video equipment, editing software, and even website coding. Soon he was working direct with Co-Owner Andrew Androff on the company’s top projects. In 2015, James graduated the University of Michigan with a Business Degree and focus in Digital Marketing. Shortly after, he was promoted to Director of Digital Marketing for Professional Movers.com where her was responsible for managing Professional Movers.com digital footprint. This included the management of the entire online portfolio of over 70 different moving related domains. One by one, James worked to bring SEO modernization and content improvement to each website, helping drive improved month-over-month traffic. The additional traffic meant additional opportunities to secure additional customers, helping mark 2015 as one of Professional Movers.com largest historical years of revenue growth. James favorite part of his job is the creative flexibility to use technology and innovation to positively disrupt the moving industry. In May of 2016, James Co-Founded and launched Moving Calculator.com as a way to solve consumer’s challenge of getting a quick ballpark price on the cost of moving without any hassle or sales pressure. James and his team built an online widget that can consumers can use as a research tool to learn estimated moving costs to relocate anywhere in the United States. In under 30 seconds and with incredible accuracy, thousands of people have been able to visit the Moving Calculator.com and begin to plan and budget for their potential move, all for free. James knowledge and ability to create high quality content for visitors of Moving Caculator.com has enabled the website to organically rise up in page ranking. The website currently ranks within the top searched pages for the term Moving Calculator and is growing to be a highly used resource and research tool. As an added benefit to James hard work, many of the visitors to Moving Calculator.com have converted to become Professional Movers.com customers. James continues to find areas of the moving industry that can be improved upon everyday. Whether it is writing an informative article or a whole new web-based platform, he creates useful resources that chip away at the stress and problems associated with moving. Patrick Crowley is a operations guru and co-owner of Rental Crates.com, Southeast Michigan’s first and only company to rent reusable plastic moving boxes to residential and commercial customers. 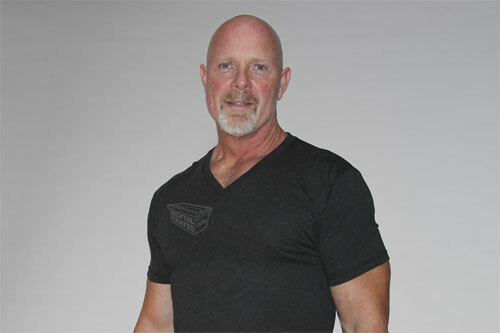 Patrick is a 39 year veteran of the moving and freight industry, and co-owner of Professional Movers.com. Under Patrick’s leadership, Professional Movers.com has been voted “Best Moving Service” by Readers of the Oakland Press in 2011, 2013, 2014, 2015, 2016, and 2017. In addition, in 2012, Professional Movers.com was the awarded the “Q” or quality Award by Wheaton World Wide in recognition for Professional Movers.com commitment and dedication in achieving the goals and objectives of true quality. Patrick studied Transportation Management and Transportation law at Henry Ford Community College where he found his passion for Operations Management side of business. At Professional Movers.com, he worked closely with the Moving Consultants, Project Move Managers and Move Teams to uncover the needs of each moving project. After learning the specifics of each job, including the types of items being moved, information about the customer, and overall scope of the job, he would assign the perfect resources and equipment. He became an expert at matching the right team member, right trucks, and right moving equipment to each project to ensure a smooth move. It has always been Patrick’s core belief that the success in every move starts and ends with the movers who actually perform the work. It was this core principle that drove Patrick to focus his efforts heavily on the recruiting and hiring practices at Professional Movers.com. Patrick was Instrumental in revamping the hiring process to include background screenings and behavioral questioning during the interview process, Patrick’s changes lead to a tremendous decrease in employee turnover. Now, Professional Movers.com proudly boasts above industry averages in employee retention. Currently, the average team member at Professional Movers.com has worked at the company for over 5 years. It is no surprise his latest company venture, Rental Crates.com is helping match people and businesses who are moving with the easiest, most affordable, and most eco-friendly moving boxes. Patrick’s new company offers customers an online platform where pre-bundled packages of moving supplies can be rented and delivered right to the customer’s doorstep. The packages are meant to perfectly match the packing needs of a customer based on the size of a customer’s home or office. The Rental Crate packages take into consideration the thousands of successful pack jobs Professional Movers.com has completed, so customers can rest assured they can expect to receive the perfect amount of packing supplies. Today, Patrick continues to oversee all hiring and scheduling or over 20+ daily moving and freight projects with Professional Movers.com. He enjoys the strategy aspect of predicting problems that could go wrong on and minimizes them by matching the right movers and equipment to each project. He is now ready for his next challenge as he begins hiring the right team members for Rental Crates.com.